I’d like to show you how I have been creating the small datacenter on my laptop. 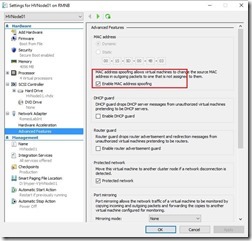 Thanks to Hyper-V nested virtualization, now I can run Hyper-V Cluster inside my laptop and can try all new features and the most important, I can troubleshoot without to affecting production environment. I have three SSDs, 32GB of ram, i7 CPU and Windows 10 build 10586 installed. 2. 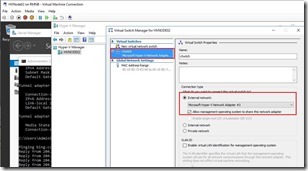 Set Hyper-V hosts in a separate network segment. 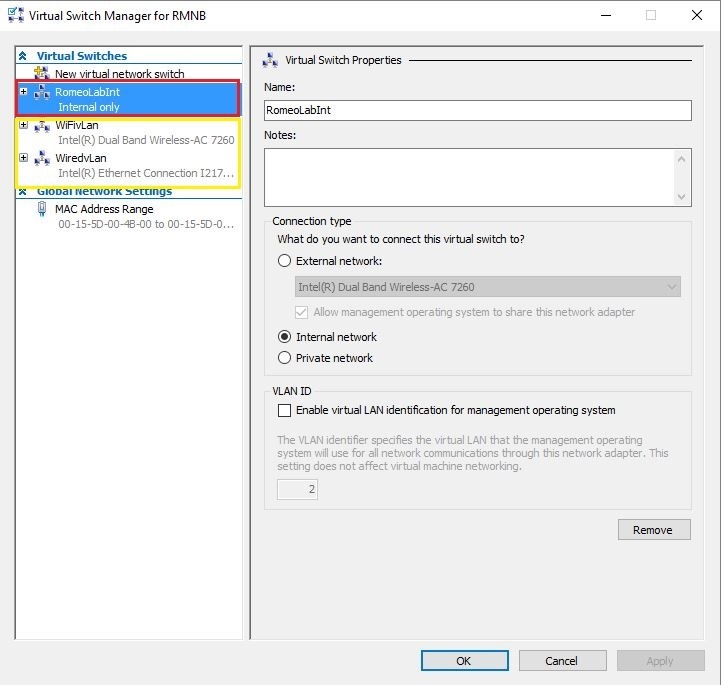 After Hyper-V role installed I set virtual network adapters. 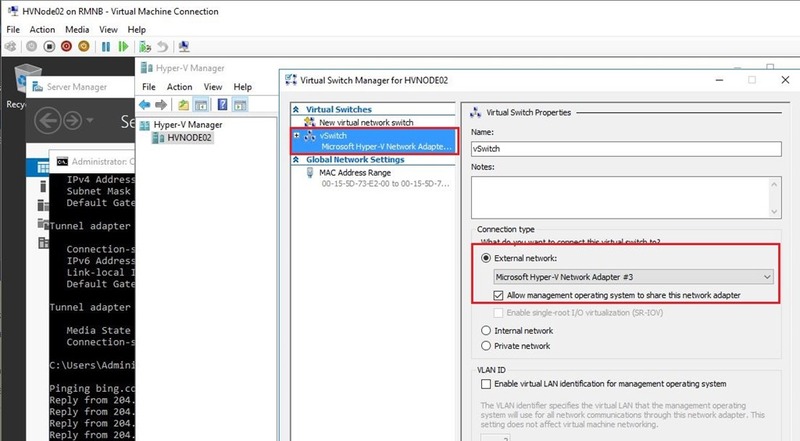 On the pictures below you can see two of virtual networks, two External networks and one Internal network. 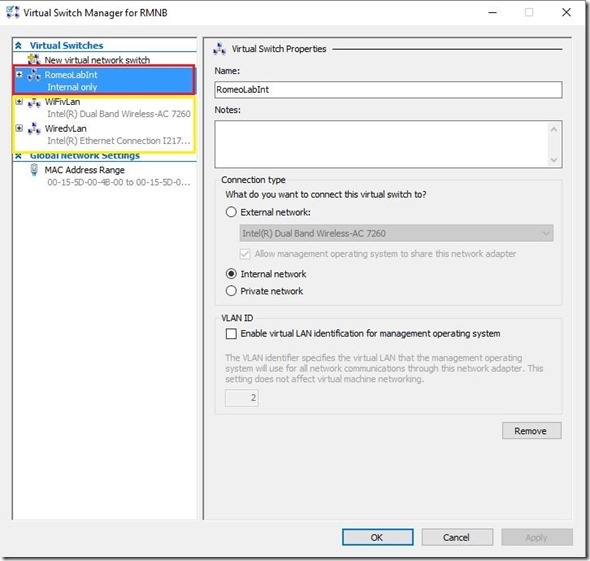 Router virtual machine has a 2GB of ram (dynamic memory), 1CPU and small dynamically expanding virtual disk, but the Hyper-V nodes have 4-6GB of ram, 4CPUs and 100GB of virtual disk. 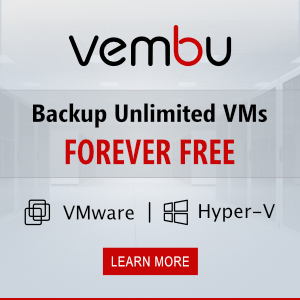 Why I mentioned Hyper-V hardware resources? Because this is very important! 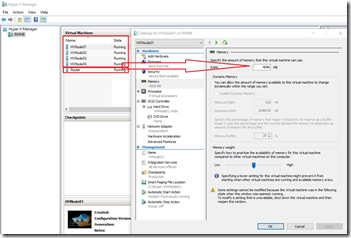 Hyper-V nested virtualization has some limitations! 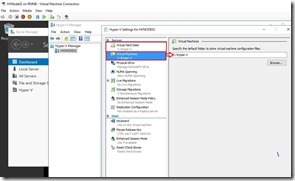 More about Hyper-V nested virtualization you can read on Thomas Maurer blog. 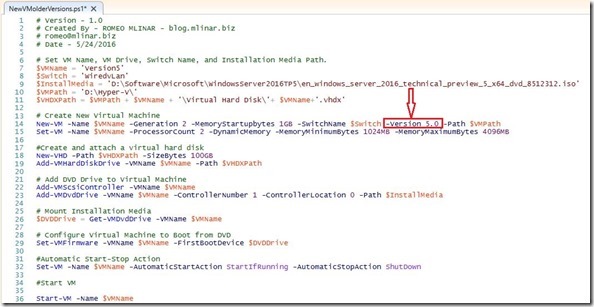 After server restart we have Hyper-V role installed and we are almost ready to go. 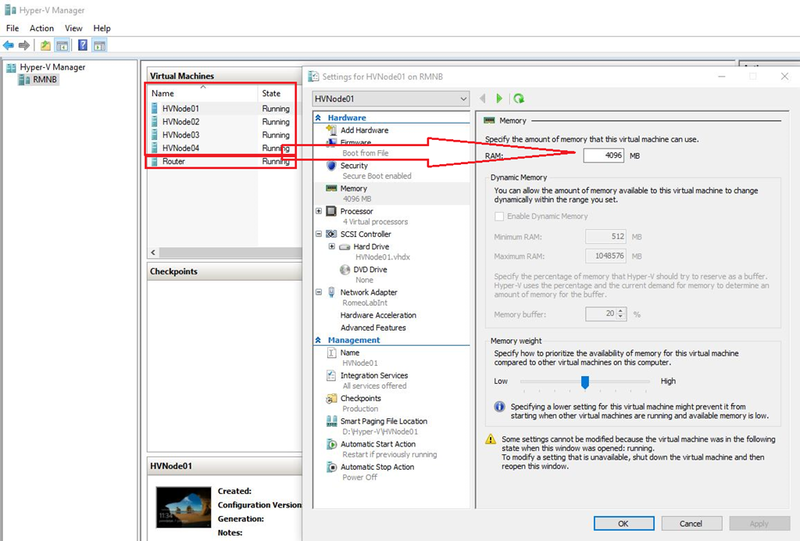 I recommend setting default location for Virtual Machines configuration files and VHDXs as well. 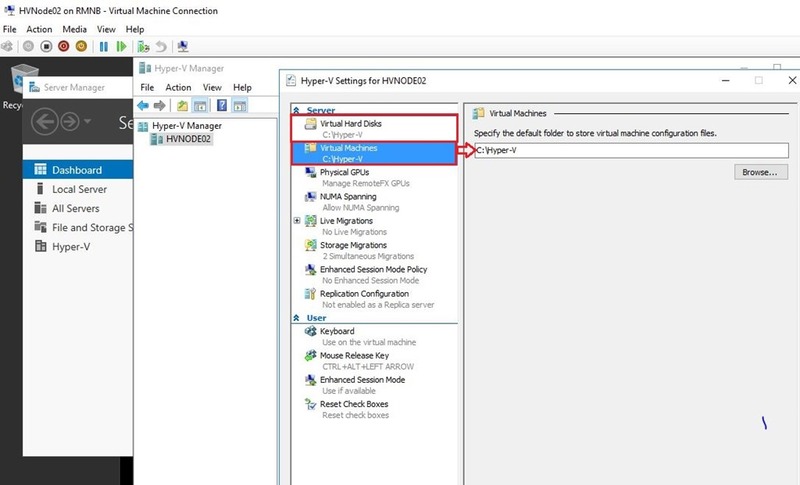 In this case I’ll put VMs in C:\\Hyper-V folder, than will setup virtual network. 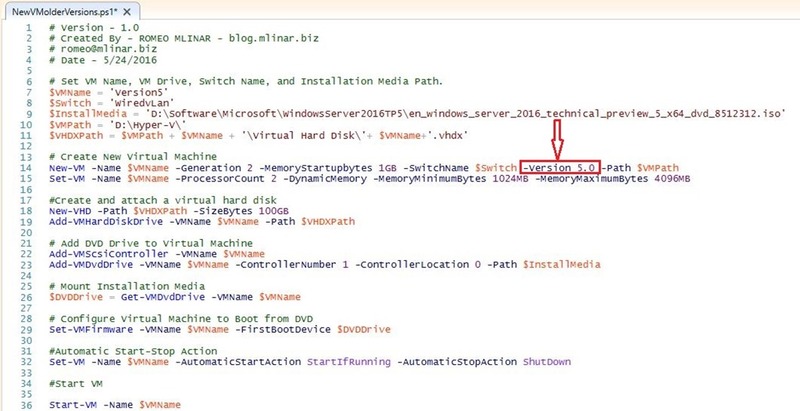 I did the same on every virtual Hyper-V host in my environment! Now we are initially prepared. The next step is “Router” installation. 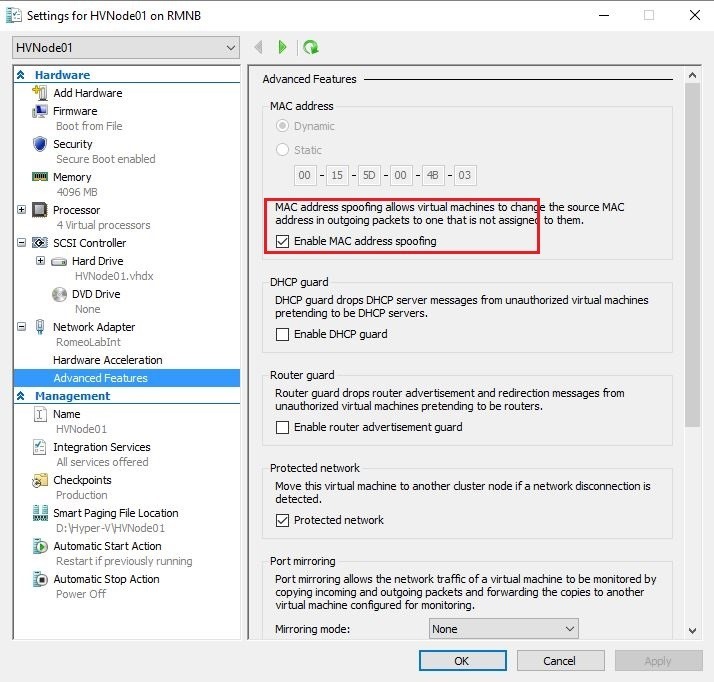 That will be virtual machine with Remote Access role installed as I mentioned above.